On Tuesday 19 September 2017, professionals working with prisoners, ex-prisoners or those sentenced to community punishments in the North East will be presented with awards for their efforts to reduce re-offending. 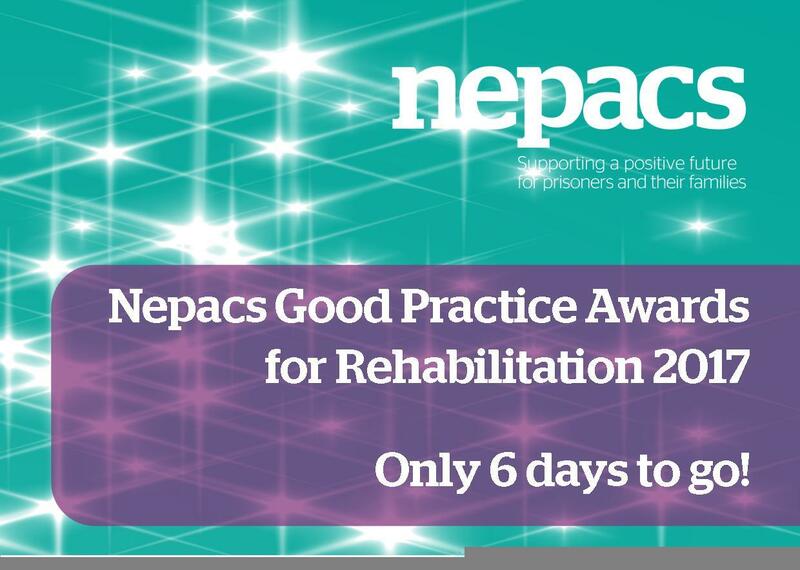 The awards for helping people resettle in the community and rebuild their lives have been given annually by Nepacs - the North East charity that works to support positive futures for prisoners, ex-offenders and their families or significant others – since 2004. This year’s awards and certificates will be presented by Nepacs Patron The Rt Revd Paul Butler, Bishop of Durham, at an event on Tuesday 19 September 2017 at Lumley Castle in Chester-le-Street. The awards celebrate projects that support prisoners planning for their release, and afterwards, working with agencies to help promote purposeful and communal activity and build self-belief, helping them re-establish themselves outside prison, securing accommodation, work and positive family relationships. It is usually when this resettlement fails that ex-offenders turn back to crime and inflict more damage on the community. There will be six main awards and 28 certificates of high commendation presented to individuals or teams who work in probation/CRCs, prisons and youth offender institutions, the voluntary sector or other agencies working within criminal justice across the north east. Helen Attewell, chief executive of Nepacs, said: “The difficulties of working within the prison system have been clearly highlighted by the media in recent months. The challenges faced by prison-based staff are mirrored in the community, where clients’ problems around substance misuse, mental health, relationship breakdowns and unemployment can continue to put obstacles in the way of fulfilling crime free lives. “It is for this reason that offenders need a great deal of help and support from a range of agencies to help them prepare for their release and to aid successful rehabilitation in the community. For more information on the Nepacs awards and previous winners visit HERE.